For too long, Hamas has served as Israel’s useful bogeyman. One message from the current crisis over Gaza is clear: the Palestinians have to get rid of Hamas. No one else can do it: the Israelis, vastly superior in military terms, only strengthen Hamas politically by wantonly raining death and destruction on Gaza. But the fanatics of Hamas, who seem to believe that they can resist Israel militarily—along with the even more radical Islamist groups that run around in Gaza—do incalculable damage to the Palestinian cause. In this case, I agree with Bret Stephens, who wrote today in The Wall Street Journal, concerning Israel and Hamas, “If you must have a nemesis, better it be a stupid one.” Stephens, a neoconservative hawk who is a blind supporter of Israel, certainly doesn’t qualify as sympathetic to the Palestinian plight. But he’s right here: Israel has no stupider enemy than Hamas. And the people of Gaza, entrapped in a hellish, prison-like entity—where conditions of despair give rise to the nihilist, Islamist radicalism of Hamas—have once again to endure the pain of Israel’s bombardment. And for what? Already in Gaza Israel has struck nearly 1,500 separate targets and killed more than 200 people, including civilians and children. As I’ve written repeatedly over the years, in the 1970s and 1980s Israel’s intelligence service—especially after the rise of the Likud government of Prime Minister Menachem Begin in 1977—helped Hamas organize and gain power. The Israelis aided Islamists on the West Bank and in Gaza, including the Muslim Brotherhood (of which Hamas is a branch), in the belief (correct, as it turned out) that Hamas would be a bitter enemy of the Palestinian nationalist movement. Indeed, back then the early supporters of Hamas clashed with moderate and left-wing Palestinian groups throughout the occupied territories. Decades later, Hamas has emerged as the perfect foil for Israeli rightists and advocates of Greater Israel, such as Prime Minister Benjamin Netanyahu. In the latest round, Hamas’s idiotic decision to fight Israel by firing useless missiles against unseen Israeli targets not only gave Netanyahu a pretext for his brutal war but managed to erase the controversy over the premeditated killing of a Palestinian youth by a gang of ultra-nationalist, right-wing Israelis. Just a week or so ago, that killing transfixed Israel and generated horror among Israelis with a conscience. Now, while the story goes on, it’s figuratively buried under the rubble of Gaza. Making matters worse, and perhaps leading to a full-scale assault on Gaza, Hamas arrogantly rejected a workable cease-fire plan that was proposed yesterday by Egypt and apparently accepted by Israel’s government—though not without criticism of Netanyahu’s agreement to the cease-fire from even more militant Israeli factions. The Egyptian proposal also had the support of Secretary of State John Kerry, although the United States could do a lot more, including issuing strong condemnations of Israel’s indiscriminate bombing of civilian homes in Gaza. (Apparently, the White House believes that Israel’s use of force is not disproportionate.) But it boggles the mind to think what Hamas believes it is accomplishing by continuing a suicidal campaign against Israel’s overwhelming might. 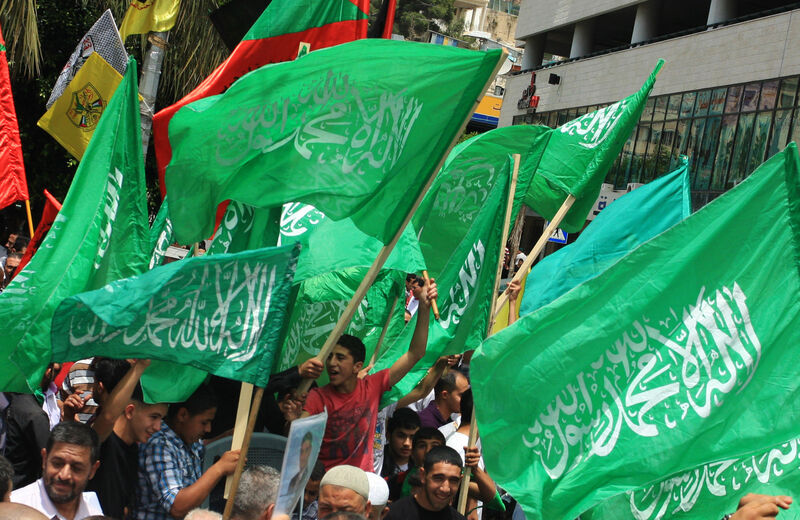 In Gaza, supporters of Hamas are chanting, “Ya Qassam, ya habib. Strike, strike Tel Aviv!” Do they live on another planet? Not that a cease-fire would solve any problems, other than ending the current round of violence. It would still leave Gaza in its abysmal state, and it certainly wouldn’t restart the collapsed Israel-Palestinian peace talks on a two-state solution. But Hamas seems determined to be Israel’s useful bogeyman.